Gaspard Tanguay-Labrosse is currently completing a Doctorate in Piano Performance at the Université de Montréal under the guidance of Jean Saulnier. He graduated from the Universität für Musik und darstellende Kunst Wien (University for Music and Performing Arts, Vienna) in 2015 with Roland Keller. He also received an important scholarship from Québec’s Fund for Research on Society and Culture (Fonds de recherche du Québec – Société et culture) for his masters’ project on the second book of Bach’s Well- tempered Clavier. Mr. Tanguay-Labrosse has distinguished himself in numerous competitions. 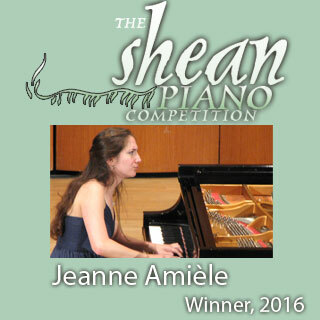 In the spring of 2004, he won the Third Prize in the Julia Crane International Piano Competition in Potsdam, New York. In addition to his solo performances, Mr. Tanguay-Labrosse performs chamber music regularly. In the spring of 2015, he went on a tour across Eastern Canada for Jeunesses musicales du Canada.